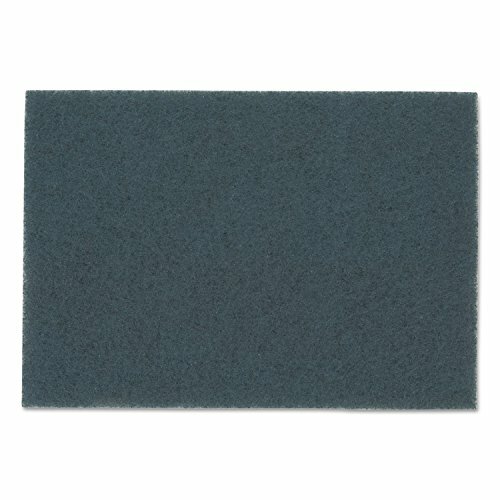 3m blue cleaner pad 5300 is designed to remove worn finish, soils, scuffs, and spills and to prepare surfaces for recoating. The pad is constructed of high quality nylon and polyester synthetic fibers in a non-woven web. A durable resin coating system permeates the fibers throughout the pad with abrasive cleaning particles, providing consistent performance over the life of the pad. The resin coating will not be significantly affected by water, detergents, and cleaners normally used for floor maintenance. The floor scrubbing pad is reversible. Depending on the surface and application, the floor pad can be used with detergent solutions for dry scrubbing floors, and in heavy duty spray cleaning operations. Application: scrubbing; diameter: 32" x 14"; height: 14"; width: 32".